Wash broccoli and chop into bite sized pieces and discard the stems. Place the chopped broccoli florets on some paper towels to get ALL of the excess water to drain. You do NOT want any water in your broccoli salad. While it is drying, you can be preparing the bacon, dicing onions and shredding the cheese. 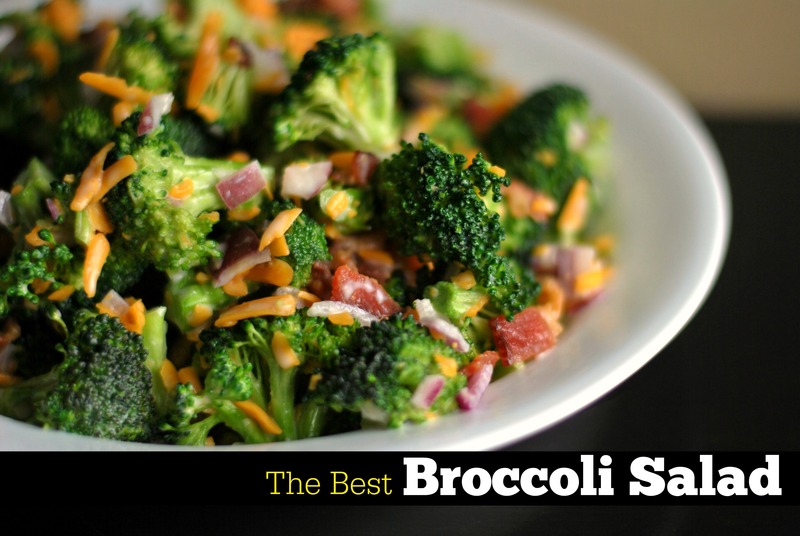 In a large bowl, combine the chopped broccoli, onions, cheese and bacon pieces. In a small bowl, whisk together the mayonnaise, vinegar and sugar. Pour over the broccoli salad and mix thoroughly. Chill in the fridge overnight. Stir once or twice over the next 12 hours. Serve the next day.